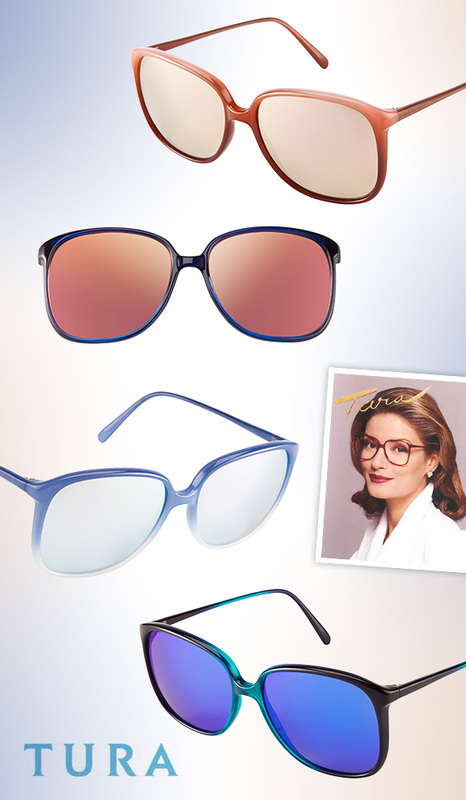 Celebrating the 30-year anniversary of its iconic model 311, Tura Inc. has crafted a limited edition collection of sunnies inspired by the signature style worn by renowned American talk show host Sally Jessy Raphael! Flaunting an oversized square silhouette reminiscent of the 80s with chic ombré finishes, these shades mesh retro flair with modern vibes. Lotsa fab hues—like peachy pinks, navy and sky blues, rich reds and alluring turquoises—not to mention cool colored flash lenses are beyond appealing to babes everywhere with an eye for fun fashion. Get Sally’s look, but with a fabulous twist, by snagging these must-have sunglasses for fall!